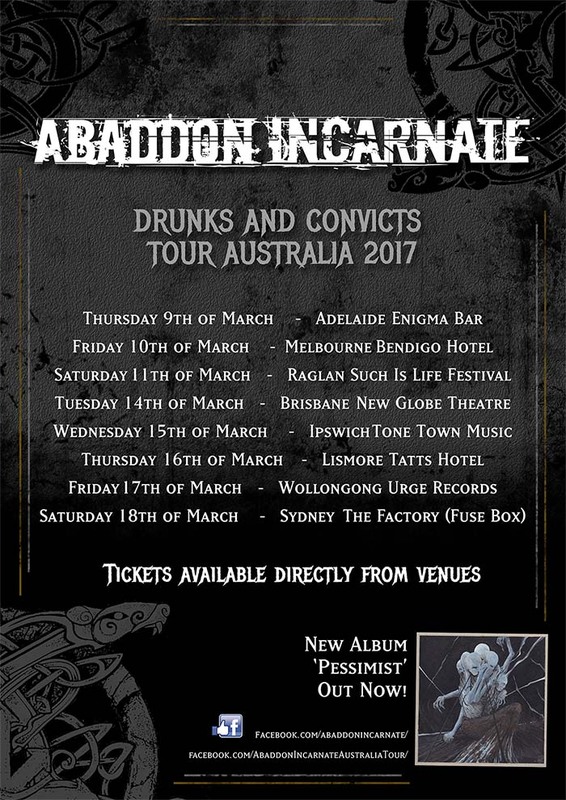 One of Ireland’s fastest, most brutal death metal bands ever, Abaddon Incarnate, will make their long overdue return to Australia this March! Formed in Dublin in 1994 out of the ashes of death thrashers, Bereaved, Abaddon Incarnate fast became one of the most noted bands in the underground metal scene. Evolving from their death roots into a more grindcore direction, the band released several landmark releases including three studio albums, The Last Supper (1999), Nadir (2001) and Dark Crusade (2004) before entering a forced hiatus in that same year. In 2014 Abaddon Incarnate signed to legendary extreme music label Candlelight Records and released their fifth album Pessimist. Abaddon Incarnate are preparing to decimate the nation when they return. It’s been a very long time between drinks and they can assure you, it won’t take them that long to return again. Brace yourself for an evening of grinding madness, one that’s been 14 years in the making! Tickets available for each show at the venue door.